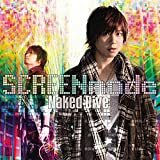 1 「Naked Dive」 MV short ver. 「Naked Dive」 MV short ver. Copyright (C) 2019 喫茶MOB亭へようこそ All Rights Reserved.